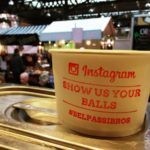 L&L Bros Ltd was established in 2013, when the brothers embarked on a long life-changing trip across Northern and Central Italy to discover the food of their homeland. It was there that they mastered the art of making the perfect meatball, and experienced flawless Italian hospitality. 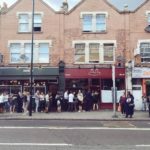 The duo returned to the UK with the intention of opening their own business, keeping their new skills and values at the core of their practice. 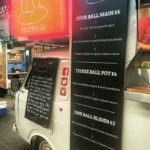 The brothers focused on building their reputation and gaining popularity, running the business out of their vintage 1967 Fiat Van, and later, operating a pop-up street food stall for 3 years in London. 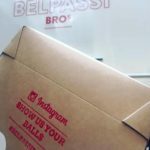 These ventures were such a success that they went on to open the first Belpassi Bros restaurant in Tooting, London, last month. Livio previously worked for Soho House Group, so he’s no stranger in the kitchen. 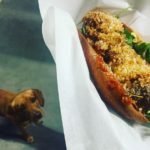 Their meatballs take centre stage, and can be enjoyed with pasta, on a sandwich, and with a whole host of different sauces and polenta. Through a lease with Johnson Reed, the team were able to purchase their catering and restaurant equipment, including kitchen appliances, restaurant furniture and the epos till system. 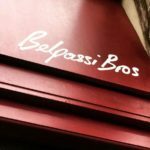 Leasing helped the Belpassi Bros offset the upfront cost of equipment, and open their restaurant with their desired high-quality commercial equipment. There’s a lot to think about when setting up a new venue, so we’re glad we could be of help!